Hello again from Ecuador. This is Pepe calling for our group from the hut on Cotopaxi. We are going to climb tonight! Yesterday we traveled from Hacienda Guachala to the Cariona Lodge, and we had a very restful day. Our team was a little tired from the climb of Cayambe, so an easy day was the perfect thing. We had a nice time. We ate well and slept well! New Years Eve in Ecuador is pretty interesting. There is a lot of music and there is much recollecting of the bad things that happened in the year that is passing — for the purpose of saying good-bye to them — good riddance! Then there is the saying of all the good things that are hoped for in the New Year — basically welcoming them with great optimism. It’s very interesting, and people get pretty enthused about both parts of this balanced equation. 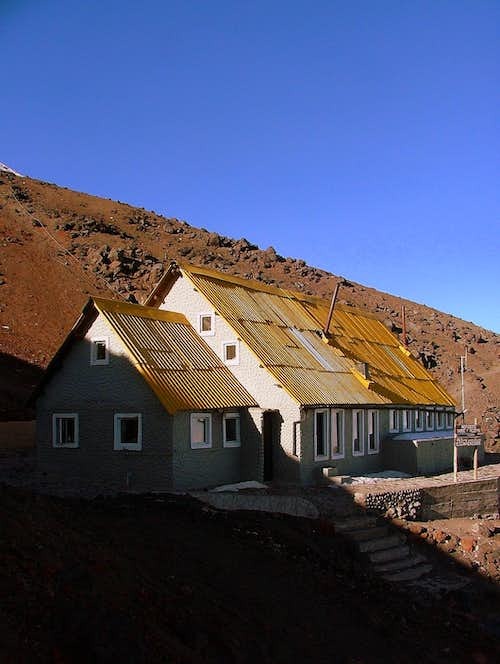 So now we are at the hut high on the side of Cotopaxi and we are looking forward to the climb to over 19,000 feet. It is clear and really beautiful, and it should be a great climb. What a way to begin the New Year! The stars are out, and this afternoon and evening we had perfect views of Cayambe and Antisana to the north. Everything is so clear. There is a little wind, but conditions ought to be just fine for us. We had a good dinner and everybody ate well. There is no problem with appetites in this great climbing team! And that is a good indication that each person has acclimatized well. When climbers are having a hard time acclimatizing, as well as feeling a general malaise, they also commonly totally lose their appetite. There are a lot of people here at the hut who plan to climb tomorrow morning, so we have arranged for staggered times of departure in order to keep people spread out on the mountain and not get in each other’s way. This should work quite well. We have a perfect time, with a schedule to get up at 11:00pm and leave right at midnight. OK. Wish us luck! 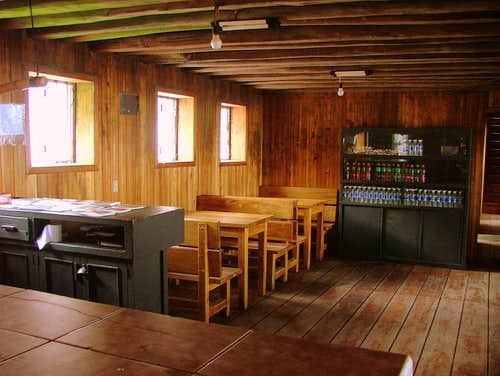 We will call you Monday evening from Tambopaxi Lodge down lower in Cotopaxi National Park, and we will let you know how we did. We are all excited about this next climb. Cotopaxi is a very beautiful mountain and the views should be excellent. brought in the New Year of 2012? We watched, on the telly, a million people jammed into Times Square as the ball dropped- I don't think you missed a thing in USA- including the loss of the broncos and cowboys. Winter classic about to start- Go Flyers!! Safe travels. Love, Barb G.